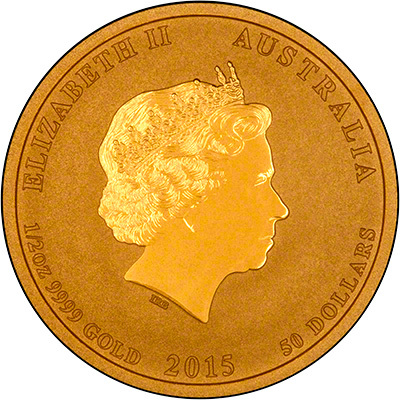 The Perth Mint's 2015 lunar coins were released on 1st September, 2014 and we received our first delivery on 4th September. The lunar animal for 2015 is the goat. Believed to represent harmony and growth, we think this date will be quite popular. As the eighth coin in the lunar calendar, many believe it also represents peace and prosperity, as the number 8 is considered to be particularly lucky in China. The reverse of the coin shows an adult male goat standing on a ridge on a mountain. It also shows the Chinese character for 'goat', as well as the inscription ‘Year of the Goat’. The obverse features the Ian Rank-Broadley effigy of Queen Elizabeth II - as the rest of the coins in the series have. 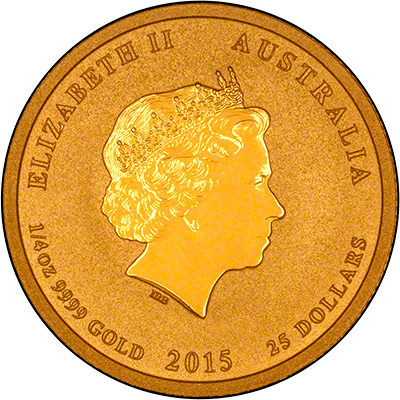 The one ounce coins have a mintage figure of just 30,000 coins. The Perth Mint will stop producing the 1oz coins either when the mintage is fully sold at the end of the year, whichever comes first. We expect the 1oz size to be incredibly popular, as always. 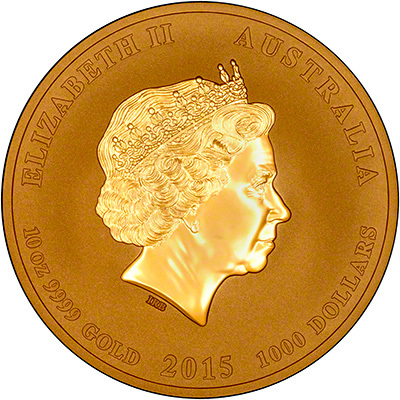 The 1kg, 10oz, 2oz, 1/2oz, 1/4oz, 1/10oz, and 1/20oz coins coins will be produced on a "mint-to-order" basis, meaning there is no limit to the amount that will be produced. 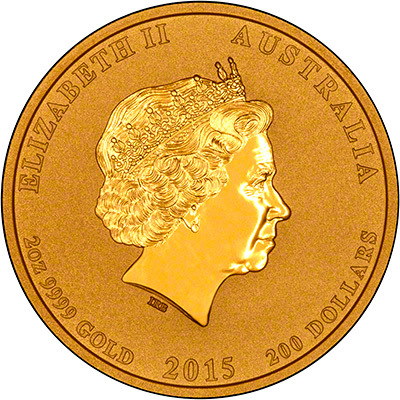 Once production closes at the end of 2015, the Perth Mint will announce each of the different sizes official mintage figures. Having previously offered the larger sized coins as available on request, we decided we should order some for stock. 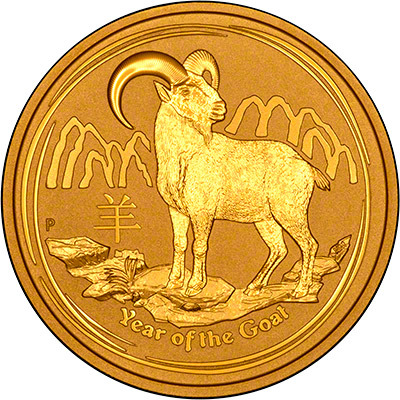 On the 10th October, 2014, we received a 10oz Year of the Goat coin and a 1kg Year of the Goat coin, meaning they are now available for immediate delivery. The Chinese Lunar Calendar is based on a 12 year cycle. Each year is associated with a different animal. Australia's Perth Mint started issuing series of Chinese Lunar Calendar Coins, both in gold and silver, in 1996, with the Year of the Rat. The 12 year cycle of this first series ran from 1996 to 2007 inclusive, and all designs proved to be very popular. In fact, we rarely manage to buy any of the older years, which tend to be very hard to source. The second series has proved even more popular than the first, with the one ounce coins being massively oversubscribed at The Mint. We recommend that you buy this year's coins while we still have them available. For the Royal Mint 2015 'Year of the Sheep' coins, please click here.